What does your home, your neighbors home and an instagram feed have in common? They all have plants. Even if it’s a delicate orchid or an elephant ear that you forget to water sometimes, you can almost always find a plant in a home. You can’t have too many and the beautiful thing about them is; if you give them what they want, they give you fresh leaves and flowers in return. 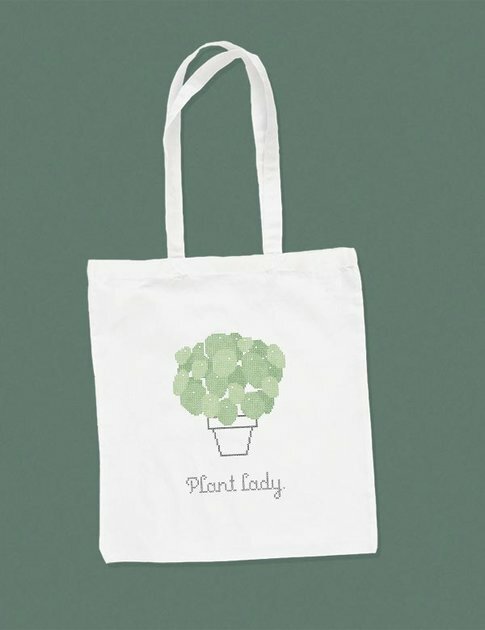 If, for some reason, someone hasn’t got the hang of the fact that you are a plant lady – here’s a great way to remind them of that. Proudly embroider “Plant lady” using cross stitches and let the wall hanging decorate your home along with your plants. If you have a plant lady friend, why don’t you embroider together? More plants for the people!